Agilent Technologies Inc. (NYSE: A) announced the industry's first fully integrated protocol viewing application for PCI Express(r) 3.0. 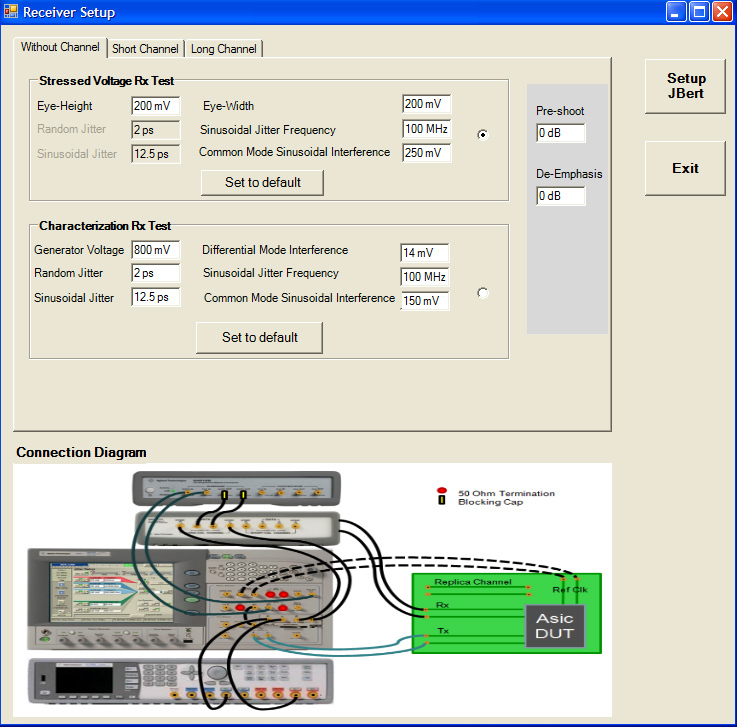 The software combines packet viewing and analog waveform annotation with advanced packet and symbol searching capabilities in a single oscilloscope-based tool. The software helps engineers identify protocol errors and simultaneously analyze analog waveform characteristics. This capability helps engineers developing PCI Express 3.0-based products address potential issues early in the design cycle and get their products to market faster. PCI Express is most commonly used in workstation, server and desktop computers supporting high-performance networking and graphics interfaces. The 8 GT/s operating speed of PCI Express 3.0 devices causes significant signal integrity challenges for designers. Often, signal integrity problems occur intermittently, and they may present themselves as errors in protocol behavior. The Agilent N8816A PCI Express 3.0 protocol viewer software provides time-correlated views of physical and transaction layer errors. The software performs 128/130 bit decoding on PCI Express 3.0 traffic and displays serial packet data synchronized with the analog view of the PCI Express 3.0 waveform using only an oscilloscope. The decoded waveform is displayed directly on the analog waveform and in a list format with associated time and index information. This combination of simultaneous logical and analog views of PCI Express 3.0 data allows engineers to quickly isolate signal-integrity-related causes of intermittent protocol errors, saving time compared to doing the same task with a protocol-only tool. "We are pleased that companies such as Agilent are working to deploy tools that offer visibility into the details of PCI Express 3.0 link training and bi-directional packet viewing," said Al Yanes, PCI-SIG(r) president and chairman. "Tools such as these can help PCI-SIG members test their PCI Express 3.0 products early in the design cycle, helping to achieve product quality and interoperability." The Agilent N8816A PCI Express 3.0 protocol viewer software for Infiniium 90000 Series oscilloscopes provides design and validation engineers with packet-level decode for PCI Express symbols and offers detailed packet decoding and visibility of low-level packet content. Supports packet decoding for PCI Express 3.0, 2.0, and 1.1 specifications. Provides visibility of link training detail, which is useful for debugging speed change failures. Provides bi-directional symbol and packet-level decoding. Allows engineers to save and analyze packet information off-line. Uses a unique packet-waveform correlation marker to make it easy to scroll through waveforms to view synchronized packet and symbol lists. "Agilent is pleased to provide the widest portfolio of products supporting the PCI Express 3.0 specification in the industry," said Sigi Gross, vice president of Agilent's Digital Test Division. "Our dedicated support of the PCI-SIG and its members through committee and board representation has helped us enable some of the earliest PCI Express 3.0 product development efforts. Tools like the N8816A help engineers solve link training issues with a fast and easy user interface on a versatile oscilloscope platform, improving time to market and delivering higher product quality." Agilent's Infiniium 90000 X-Series 16-GHz to 32-GHz oscilloscopes are ideal for testing PCI Express 3.0 devices. They offer the industry's lowest noise floor, deepest memory and flattest response. Using the 90000 X-Series oscilloscope and the Agilent N8816A PCI Express 3.0 protocol viewer software, engineers can gain greater visibility into their PCI Express 3.0 designs and protocol-related errors rooted in physical layer anomalies. Additional information about Agilent's N8816A PCI Express 3.0 protocol viewer software and other information on Agilent's total PCI Express 3.0 test solution portfolio is available at www.agilent.com/find/pciexpress. Product images are available at www.agilent.com/find/pcie3_images. A backgrounder covering PCI Express technology and Agilent's test solutions is available at www.agilent.com/find/pciexpress_backgrounder. The Agilent N8816A PCI Express 3.0 protocol viewer software is available now with a price of $4,000. PCI-SIG is the special-interest group that owns and manages PCI specifications as open industry standards. The organization defines industry standard I/O specifications consistent with the needs of its members. More than 800 industry-leading companies are active members. For more information and a list of the board of directors, visit www.pcisig.com.